Boeheim's Army huddles during a timeout. Mandatory Photo Credit: The Juice Online, Wesley Cheng. Boeheim’s Army General Manager Kevin Belbey calls in to talk about Central New York hosting The Basketball Tournament regionals. After, editor in chief Brad Bierman then talks about Syracuse basketball’s daunting final stretch of the 2018-19 season. Wesley Cheng: The big news out of The Basketball Tournament is that Onondaga Community College in Syracuse is going to be one of the host sites of the regionals. That means you’ll essentially be playing a home game. Take me through the process of how that happened, and how big is this for Boeheim’s Army? Kevin Belbey: It’s going to be huge for the team. We’re actually going to play three games this summer up at OCC. We have three home games, and if we win those, we have three games in Chicago. I’ve been talking to TBT about it the last few years. At the time, it wasn’t right. They looked at OCC. They looked at LeMoyne. The Carrier Dome doesn’t have air conditioning. This summer, the stars aligned. It makes a lot of sense. We have the best fans in the tournament and we’ve had sell out crowds no matter where we’ve been. To play in Central New York, it’s going to be a sold out gym and a great environment. It’ll be a great competitive advantage. 3. 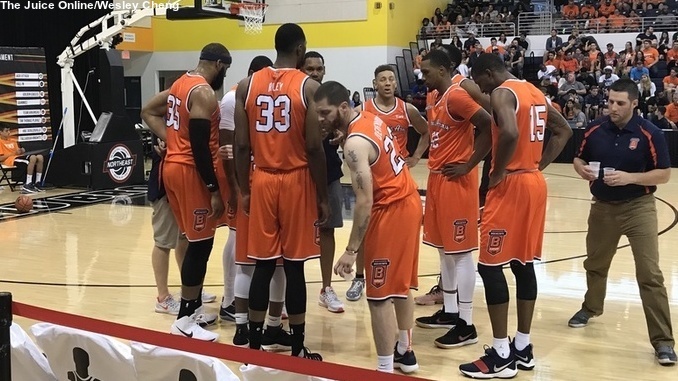 Eric Devendorf coming back to the roster? 4. Where are you with the roster?